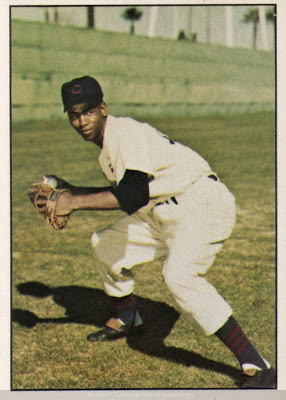 This 291-card set features a great collection of 1950s player photos, most posed in mock "game action" like Ernie, below. Banks so young and mischievous, I wonder if there's an ice cream truck passing by. Red-striped stirrups over socks, floppy shoe tongues, and loose-fitting pant legs complete Mr. Cub's vintage uniform. 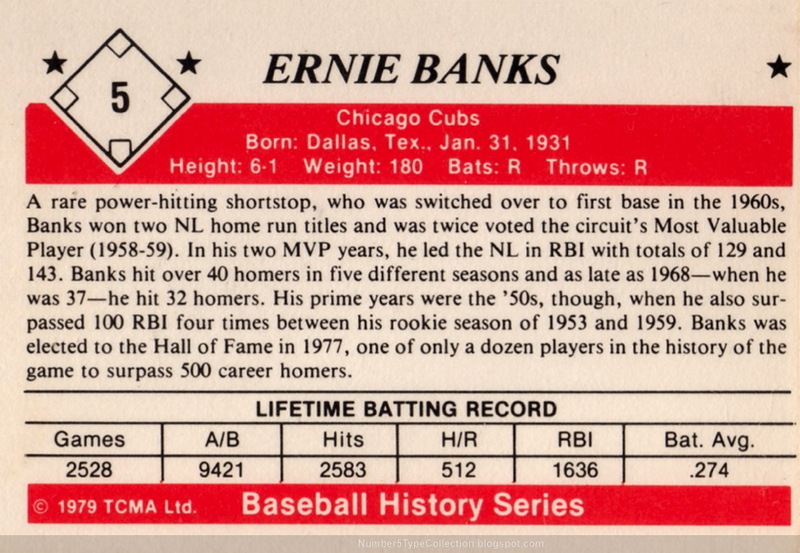 Hard to date the year exactly, since its details don't match this Cubs uniform history's "Ernie Banks Years" section. As a spring training photo--note the looming palm trees--perhaps that's 1953 or 1954, before Banks became famous as Chicago's slugging shortstop. 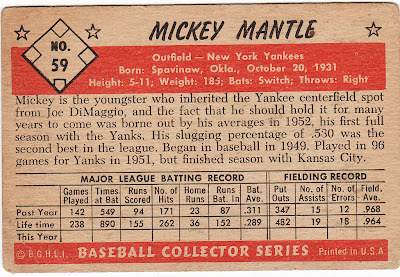 TCMA cribbed this back design from 1953 Bowman; the originals feature a more detailed stat grid. 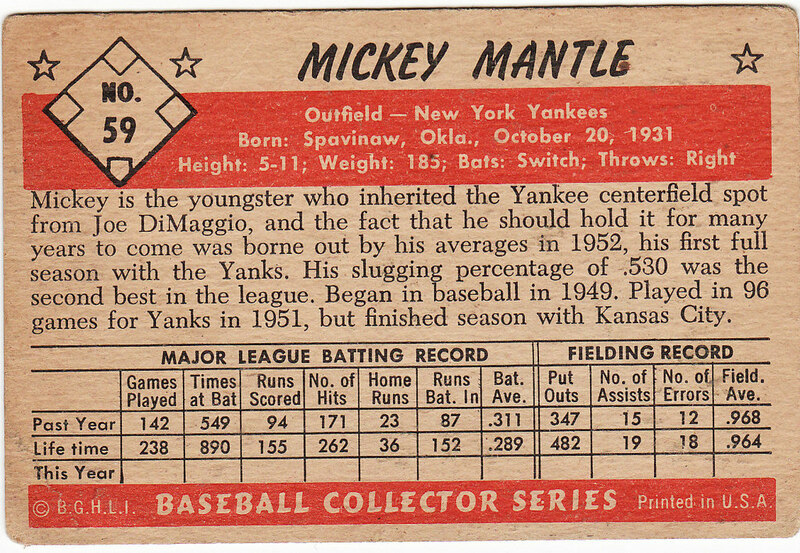 Banks and Mantle could both play on a baseball team featuring only back-to-back MVP winners. Here are the pre-1985 qualifiers. Value: Most TCMA singles cost a dollar or two, depending on set and player. 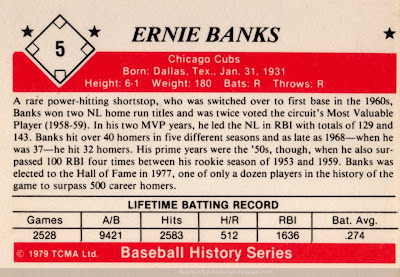 This set's relatively easy to find, so don't break the bank, even if it is stocked with HOFers. How far have we come? How many cards remain?